Kanye West “Only One”: Hear his touching new song with Paul McCartney, in memory of his late mother (AUDIO). Kanye West and Paul McCartney have apparently recorded several songs together. Kanye West may not have released an album in 2014—as many expected him to—but he did end the year with a special new song. Back in August, rumors circulated that he’d been in the studio with none other than Paul McCartney, and on Wednesday, just minutes before the ball dropped on the East Coast, he released to iTunes a song written with Sir Paul called “Only One.” It’s one of the most personal and introspective songs Kanye’s ever done, and you can stream the full track on his website. This particular collaboration feels like kismet. Kanye’s mother, Donda West, died in 2007 following complications from surgery. McCartney’s mother died of an embolism in 1956, and McCartney famously penned The Beatles’ “Let It Be” in memory of her, saying then that she’d visited him in a dream prior to him writing the song. Kanye has referenced his mother’s death in song (“Coldest Winter,” “Clique,” etc. ), but on “Only One”—the Swahili translation of his first name—he says he’s channeling her spirit. With McCartney playing a somber arrangement on the keyboard, Kanye voices his mother’s words, which he says came to him subconsciously, speaking to both himself and his daughter, North. “You know I never left you/ ’Cause every road that leads to heaven’s right inside you,” he sings (with the help of Auto-Tune). Donda, via her son, expresses pride in how far he has come despite his flaws (“No, you’re not perfect, but you’re not your mistakes”). And the song ends on a heartbreaking note, with Kanye singing the moving refrain, “Tell Nori about me,” implying that his mother wants him to keep her memory alive for the granddaughter she never got to meet. 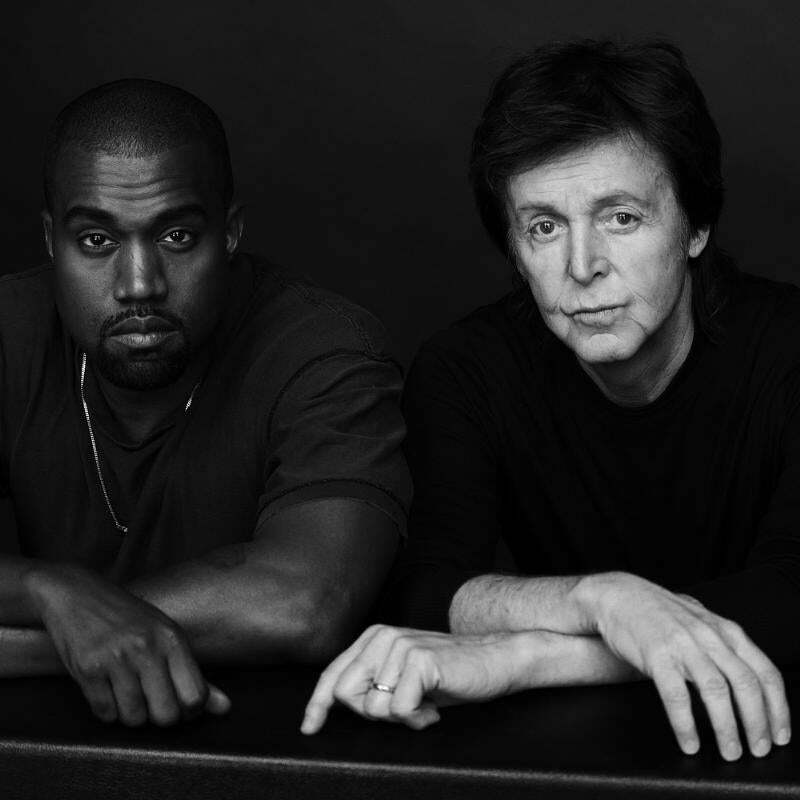 It’s unclear for now whether “Only One” will appear on Kanye’s Yeezus follow-up, but the press release does suggest that this is just the first release from a “prolific” collaboration between Kanye and McCartney. Here’s to hoping for a full album’s worth of poignant numbers like this one.